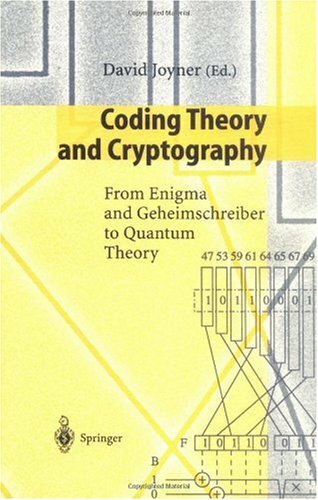 This book concerns elementary and advanced aspects of coding theory and cryptography. The coding theory contributions deal mostly with algebraic coding theory. Some of these papers are expository, whereas others are the result of original research. There are both, historical and mathematical papers on cryptography. Several of the contributions on cryptography describe the work done by the British and their allies during World War II to crack the German and Japanese ciphers.